Provides fast, "no skip" coverage equal to other professional quality rollers. High-capacity yellow fabric holds more paint for fewer trips to the paint tray. Good density to resist matting for a smooth finish. 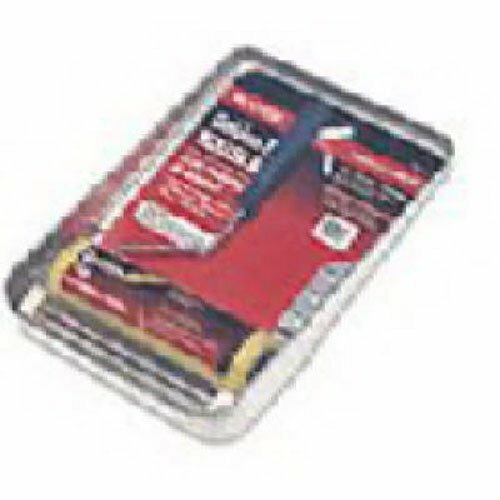 Use with all flat paints, stains, waterproofing (latex, acrylic, and oil-based). The Wooster Brush Company has been manufacturing innovative, high-performance painting tools right out of Wooster, Ohio USA since 1851. Our trade names include Ultra/Pro, Advantage, Yachtsman, Shortcut paintbrushes; Super/Fab, Super Doo-Z roller covers; Sherlock frames and extension poles; Jumbo-Koter minirollers; and Prep Crew surface prep tools. You can feel confident knowing Wooster is the name behind your painting tools. Jumbo-Koter rollers are made with Wooster branded fabrics to greatly increase capacity and consistently match finishes to our full-size rollers. Their open, 3/4” core makes cleaning easy and refills cost less. Trilingual, color-coded bags have headers for better merchandising. For use only with Jumbo-Koter cage frames. The Wooster Brush Company has been manufacturing innovative, high-performance painting tools right out of Wooster, Ohio USA since 1851. Our trade names include Ultra/Pro, Advantage, Yachtsman, Shortcut paintbrushes; Super/Fab, Super Doo-Z roller covers; Sherlock frames and extension poles; Jumbo-Koter minirollers; and Prep Crew surface prep tools. 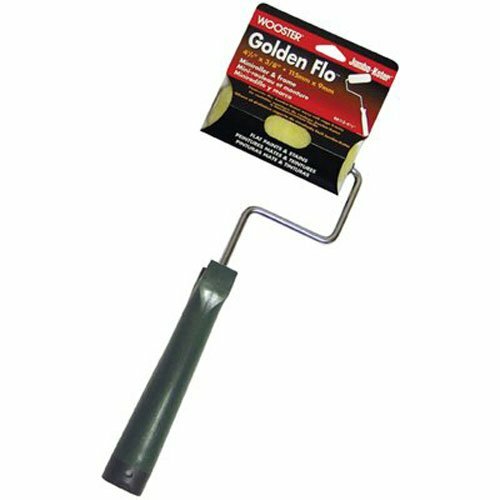 You can feel confident knowing Wooster is the name behind your painting tools. Provides fast, "no skip" coverage equal to other professional quality rollers. High-capacity yellow fabric holds more paint for fewer trips to the paint tray. Good density to resist matting for a smooth finish. 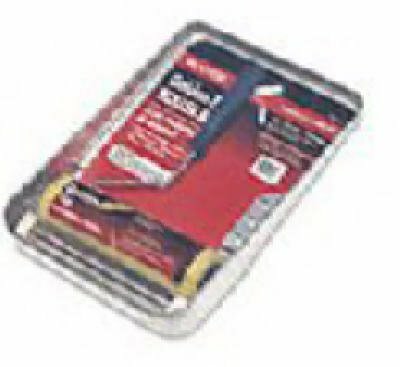 Use with all flat paints, stains, waterproofing (latex, acrylic, and oil-based). Convenient kit includes 3/8" nap roller cover, cage frame, and metal tray. The Wooster Brush Company has been manufacturing innovative, high-performance painting tools right out of Wooster, Ohio USA since 1851. Our trade names include Ultra/Pro, Advantage, Yachtsman, Shortcut paintbrushes; Super/Fab, Super Doo-Z roller covers; Sherlock frames and extension poles; Jumbo-Koter minirollers; and Prep Crew surface prep tools. 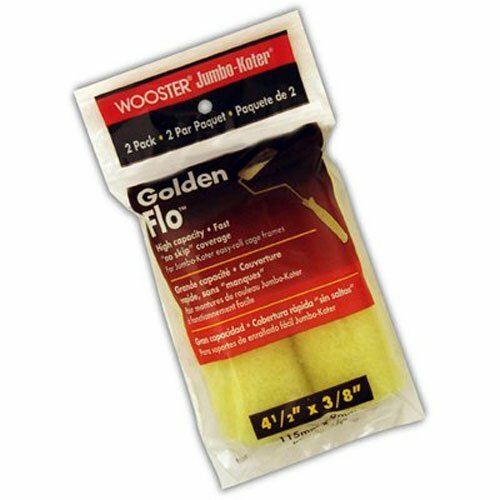 You can feel confident knowing Wooster is the name behind your painting tools. 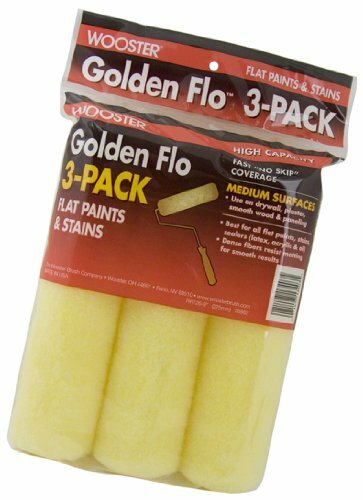 Golden Flo, 9" Flat Paint Roller Kit, Contants 3/8" Roller Cover, Roller Frame, R402 Deluxe, Metal Tray. 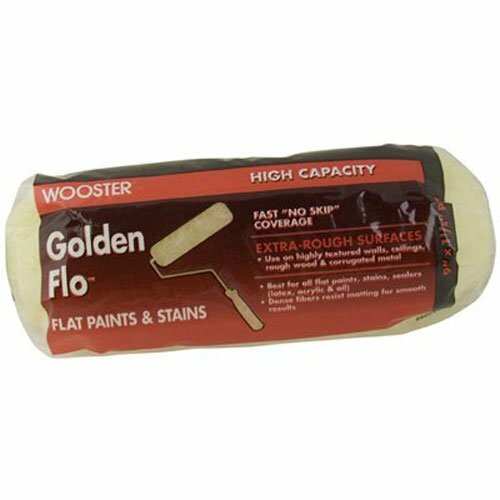 Golden Flo, 9", 3/4" Nap, Knitted Roller Cover, Yellow Polyester Fabric With Excellent Fiber Density Delivers Full Paint Capacity, Fabric Resists Matting and Reduces Spattering, Beveled Ends Provide Smooth, Neater Finish, Quickly Applies All Flat Paints. 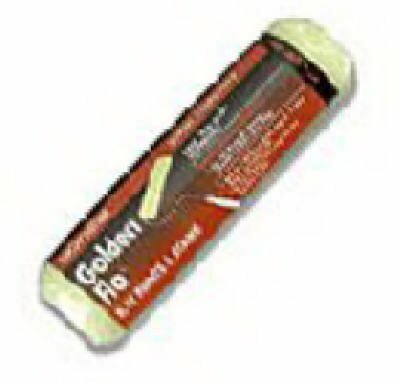 Golden Flo, 9", 1/2" Nap, Knitted Roller Cover, Yellow Polyester Fabric With Excellent Fiber Density Delivers Full Paint Capacity, Fabric Resists Matting and Reduces Spattering, Beveled Ends Provide A Smoother, Neater Finish, Quickly Applies All Flat Paints. Compare prices on Golden Flo Roller at ShopPlanetUp.com – use promo codes and coupons for best offers and deals. We work hard to get you amazing deals and collect all available offers online and represent it in one place for the customers. Now our visitors can leverage benefits of big brands and heavy discounts available for that day and for famous brands.